This unique desk makes a wonderful centerpiece for your home office space. The piece features two drawers with burnished brass metal hardware and a wood top with a large bronze glass center insert. Completed with a center pull-out shelf and removable pencil tray in both drawers, the contemporary desk adds a perfect workstation to your home. The Ad Modern Organics Risden Desk with Bronze Glass Top Insert by American Drew at AHFA in the area. Product availability may vary. Contact us for the most current availability on this product. Handles & Hardware Hardware has been protected with a clear lacquer coat. Drawer Suspension Drawers feature automatic drawer stops to prevent drawers from falling out of the case. The Ad Modern collection presents extensive furnishings for your entire home. Featuring an array of accommodating benefits such as table leaves, upholstered seats, adjustable shelves, unique designs and even electronic outlets and USB chargers, these beautiful pieces will meet all your modern needs. Highlighted by extensive contemporary style elements and crafted with bronze nickel metal in addition to wood veneers and solids, these pieces will transform your home for years to come. 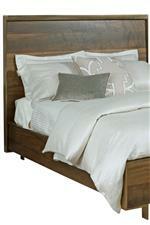 The Ad Modern Organics collection is a great option if you are looking for Contemporary furniture in the area. Browse other items in the Ad Modern Organics collection from AHFA in the area.